Marta Jacob is an Associate Professor of the Department of Applied Economics, University of the Balearic Islands, Spain. 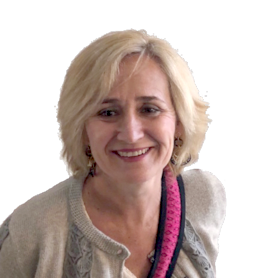 Previously, she has been full-time lecturer at the University of Las Palmas de Gran Canaria (1991-2000), and associate researcher at IMEDEA (CSIC-UIB) in 2001-2002. With a MA in Econometrics, University of Essex, and a PhD in Economics and Business Sciences, University of Las Palmas de Gran Canaria. She has been General Director of R+D+i of the Balearic Islands Government from 2004 to 2007, member of several committees of the Cotec Foundation for Technological Innovation (2004-2007). Vice-dean of Economics at the Faculty of Economics and Business (UIB) and Head of Studies in Economics (2009-2013). Papers published in scientific journals such as Journal of Agricultural Economics, Annals of Tourism Research, Tourism Management and Tourism Economics, co-editor with Jafar Jafari of two books edited internationally within the Book Series: Innovation and Tourism. Connecting Theory & Practice, and several chapters in books, such as in the Encyclopedia of Tourism by Springer. She has participated as a researcher in R&D projects of the Interministerial Committee of Science and Technology (CICYT) (Spain), VI Framework Programme and Interreg Programmes as well as an expert in consultancy jobs in service contracts for the DG Regional Policy and DG Employment, Social Affairs and Inclusion of the European Union, the International Cooperation Agency of the Government of Chile, the Regional Government of Aysen (Chile), the Cotec Foundation for Technological Innovation, the Consell Insular of Menorca, the Regional Ministry of Economy and Finance of the Government of the Canary Islands, the Cabildo de Gran Canaria and the Chamber of Commerce of Mallorca, among others.